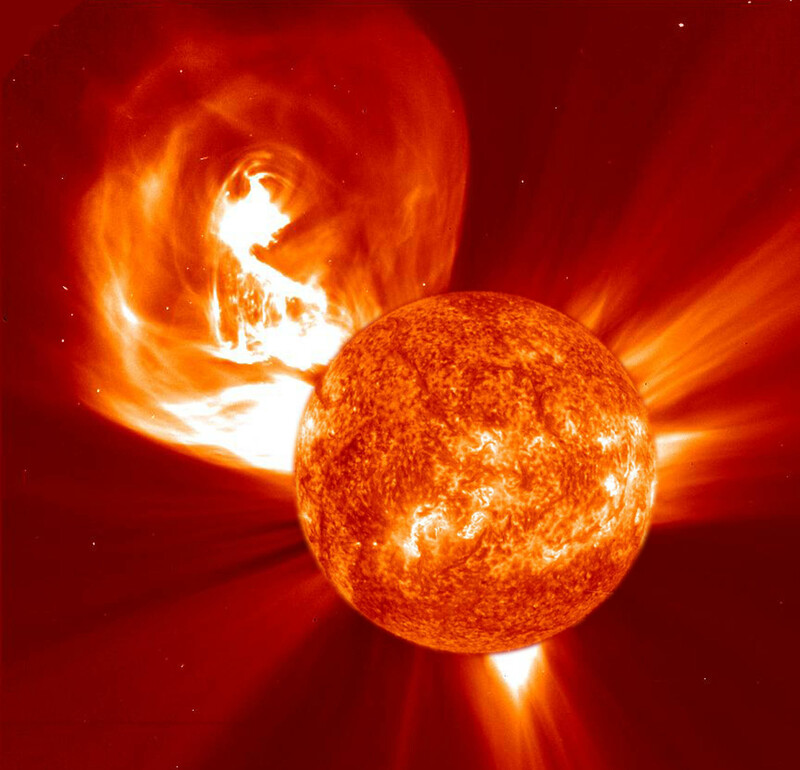 Another treatment of a fiery Coronal Mass Ejection (CME) with stunning, bright details in the ejected material. In this composite image, an EIT image of the Sun in extreme UV light, taken at about the same time (January 4, 2002), was enlarged and superimposed on LASCO C2. In coronagraph images, direct sunlight is blocked by an occulter (covered by the Sun here) to reveal the surrounding faint corona.